The TT Energy Chamber, in its outlook for the year, is predicting a modest recovery for the local energy sector in 2019, based on increased natural gas production, and hence, increased liquefied natural gas (LNG) and petrochemical exports. The outlook, written by the chamber’s CEO, Thackwray Driver, did caution that recovery is fragile and could be threatened by continued low oil prices, especially if gas and petrochemical prices also decline. While gas production is predicted to increase, the future of oil production largely relies upon the successful transformation of the legacy Petrotrin upstream assets into Heritage Petroleum Co and the ability of the new company to attract capital and successfully drill new wells, improve the integrity of its existing assets and improve operational efficiency. In 2018, the chamber said, gas production trended upwards after years of falling post the 2010 peak, when production was 4.3 billion standard cubic feet per day (bcf/d). Current projections indicate continued growth through 2021, when production is predicated at 4.14 bcf/d. The chamber noted existing wells were showing average annual declines in production of 12 to 15 per cent, so the increase in gas production would have to come from new fields, as well as compression projects and additional development drilling from existing platforms. Projects currently either in execution or advanced planning stages include BPTT’s Angelin and Shell’s Bounty and Endeavour, all off Trinidad’s east coast. Shell is also developing its Colibri project off the north coast. BPTT’s recently announced Matapal project will develop gas resources discovered in 2017 and will be a three-well subsea tie-back to the existing Juniper platform, with first gas in 2022. 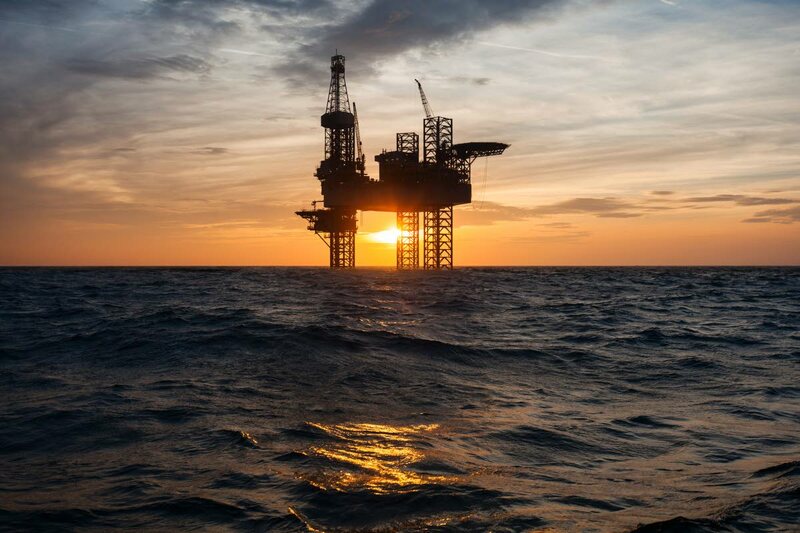 BPTT has an offshore compression project with new platform, Cassia C, expected to increase production from existing east coast fields starting in the third quarter of 2021. “While these new field developments will significantly offset declining production from existing fields, continued investment is needed in new exploration drilling if TT is to maintain a production plateau above four bcf/d into the next decade,” the chamber said. The shallow water bid round, due to close in May 2019, will be important for the sector, the chamber said, because it offers acreages off the east, north and west coasts of Trinidad, from which the government will be hoping to attract significant interest. It was unclear, the chamber noted, if the “much-anticipated” import of gas from the Dragon field in Venezuela, via the Hibiscus platform, is included in the Energy Ministry’s projected gas production figures. The major development in the petrochemical sector this year will be the Caribbean Gas Chemicals plant in La Brea coming on-stream. For existing producers, the main challenge will remain the availability of natural gas at competitive prices. There was significant progress in contract negotiations between the NGC and downstream plants during 2018, but further negotiations remain, and gas supply challenges remain a threat. The “difficult” negotiations between the Government and Atlantic’s gas suppliers appear to have made significant progress towards the end of 2018, adding five more years to Train 1’s life. This means, though, there will likely be major maintenance on the plant. In addition to increasing gas supply, NGC has been working closely with TTEC to possibly reduce demand through greater energy efficiency, especially in power generation. There has been some progress, especially the highly efficient TGU plant coming on-stream at full capacity. Further work on energy efficiency will continue to be a priority in 2019. The biggest story of last year was Petrotrin and the closure of the Pointe-a-Pierre refinery after 101 years. For the coming year there will be widespread interest in any possible buyers of the refinery’s assets. Petrotrin’s successor, Heritage, will be focusing just on upstream exploration and production, and has a major task ahead of it to turn around oil production, which fell significantly during 2018, and become profitable. The fall in oil prices at the end of 2018 and projected low pricing in 2019 will not help, but the good news is that the first few shipments of crude oil were reported to have received prices in excess of the West Texas Intermediate benchmark. This improved pricing should also help smaller oil companies who traditionally sold oil to the refinery prices lower than WTI. Other local operators have announced plans to increase investment in new production and there is some exploration activity happening. Increasing profitable oil production is an obvious short-term objective for the local economy but the global reality is that technological change and environmental and climate policy are driving a massive shift towards electric vehicles. This will likely mean long-term downward pressure on oil prices as supply exceeds demand. As the world moves towards renewable energy, TT must develop expertise in this area. During 2018, there was much policy discussion on renewables and interest is high among both the general public (especially younger people) and private sector. The much-anticipated call for grid-scale renewable energy generation projects is due to close in 2019 and investment decisions coming out of it will be closely watched. A new renewable energy fund has recently been launched on the TT Stock Exchange to generate capital for investment in renewables both here and regionally. The past few years have been challenging for the energy services sector, with continued downward pressure on prices and stiff international competition. The refinery’s closure has obviously been a major hit for many local energy service companies and contractors who have had to adapt to a new environment. The high levels of investment in offshore gas production do not necessarily translate into significant business for many of the local service companies, which is why a continued focus on developing local content in these activities is crucial. The other potential area for growth for local energy service companies is in export markets. The huge exploration success of Exxon in Guyana and the fast-track development of resources has created plenty interest from energy service companies from around the world. Several TT service companies are actively exploring the Guyana market, with some notable success. Continued interest and investment into Guyana are expected to continue in 2019.